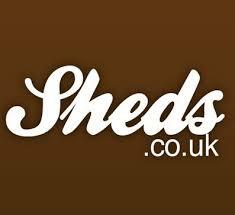 Find here Sheds.co.uk coupons and deals. Sheds.co.uk is the UK’s leading website selling a wide range of garden sheds, metal sheds, playhouses, log cabins, greenhouses, summer houses and more. We strive to offer you the best quality products from reputable suppliers at the lowest possible prices. We work closely with our suppliers to ensure our customers receive the best products available on the internet. No matter what type of garden building you wish to see we have them at the Sheds.co.uk Showroom. We have everything from wooden sheds to insulated garden rooms and include examples of a wide variety of our trusted manufacturers.